While waiting on her son’s heart surgery, a mother hears the Good News of Jesus Christ and receives a new heart. 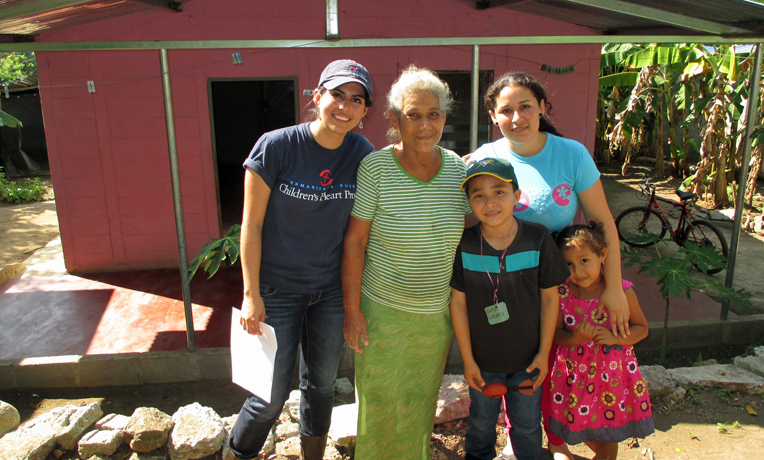 Dela Rodríguez is the Children’s Heart Project coordinator in Honduras. María works in a cloth manufacturing company in Honduras. She leaves early in the morning and works late into the evenings for little money. At night, after traveling on two buses, she gets to see her two kids who stay with their grandmother all day. 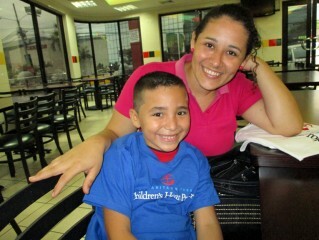 María is a single mom and the sole provider of the home. God repaired both Jafet’s and Maria’s hearts. When they return home, they will have an incredible story of healing to tell. Her 7-year-old son, Jafet, had a ventricular septal defect and needed heart surgery that was not available in their country. The defect left María with little comfort, but eventually she met Children’s Heart Project and found out that Jafet could receive the surgery he needed in North America through the project. Her comfort became the hope of Jafet’s surgery and of his future as a normal, healthy boy. María and Jafet prepared to travel to Texas for the surgery. As scary as this seemed for María, she trusted Children´s Heart Project to assist her. She had a great hope of healing for her son. Days before the trip, we had to travel to Tegucigalpa, the capital city of Honduras, for a U.S. medical visa appointment. During the four-hour road trip, a man from the Samaritan’s Purse ministry team and I presented the Good News of Christ to María. She understood the Gospel but thought that she had to still do a lot before she believed. We stopped on the side of the road where there is a precipice. We explained that Christ can take any burden she carried and that whatever she was holding onto would always be too heavy for her. María could not ignore her most fundamental problem. Comfort does not mean God makes all bad things go away. Comfort comes from the Spirit that comes to live in our hearts when we come to Christ. We are then introduced to a greater joy. Her comfort comes now from her Savior instead of the hope of Jafet’s surgery. She understands that we cannot try to fix ourselves. He is the Great Surgeon. Jafet had successfully surgery in the U.S. and will return home soon with a repaired heart. He and his mother now have a testimony that can change lives.